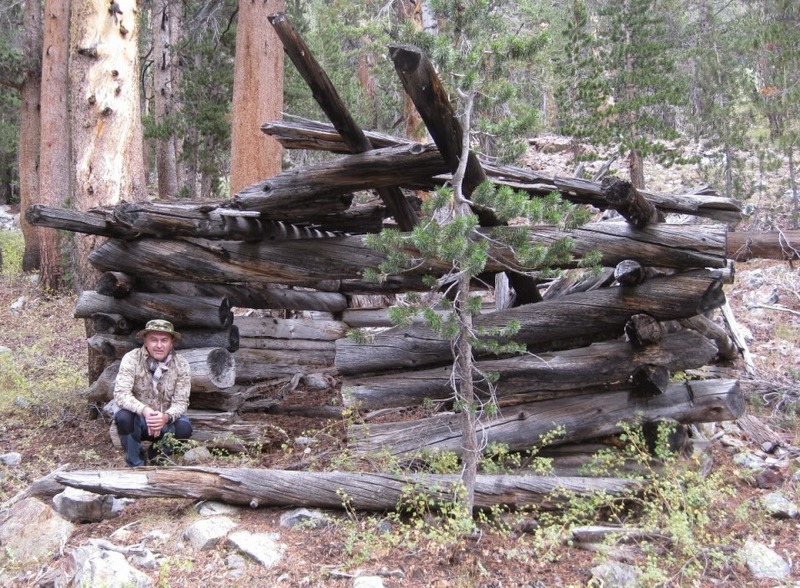 There is an amazing bounty of history tucked into the crags and the meadows of the Sierras. One weekend in September of 2014 Alan and I heeded the call of adventure and set out to meet up with the remnants of the past. Alan has a lengthy laundry list of places to go and sometimes manages to talk me into trudging out into some pretty spectacular terrain. Not that he has to twist my arm too hard but one day round trips to Death Valley or 15 mile hikes at 11,000 feet are not casual endeavors. He had two specific targets in mind for this trip: an old log cabin related to the gold mining days and a WW-2 bomber crash site. The first was a matter of sleuthing and careful navigation in the forest and the second involved a long day hike into difficult terrain. The second goal has a more complex history. The world was in the throes of a vicious war and the United States Army was purchasing massive fleets of aircraft and training young men to fly them on dangerous missions. 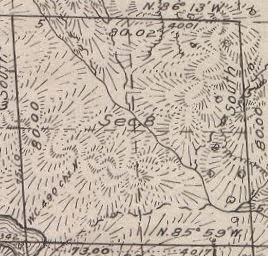 One such training facility was in Tonopah, Nevada and the flight crews frequently crossed the Sierras to Army bases in California. 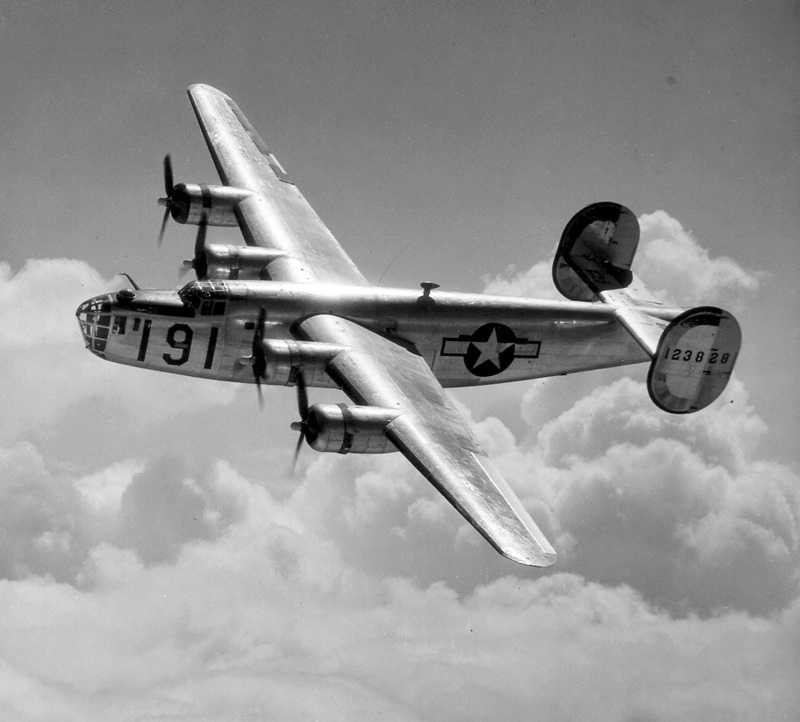 One bomber of the AAF's stable was the B-24 of which twelve variations were produced. All told there were 18,482 made and 801 of those were the "E" variant. On June 21st, 1943 one particular B-24E had completed bomb training runs and started into the Sierras with its crew of seven anticipating a quick crossing. 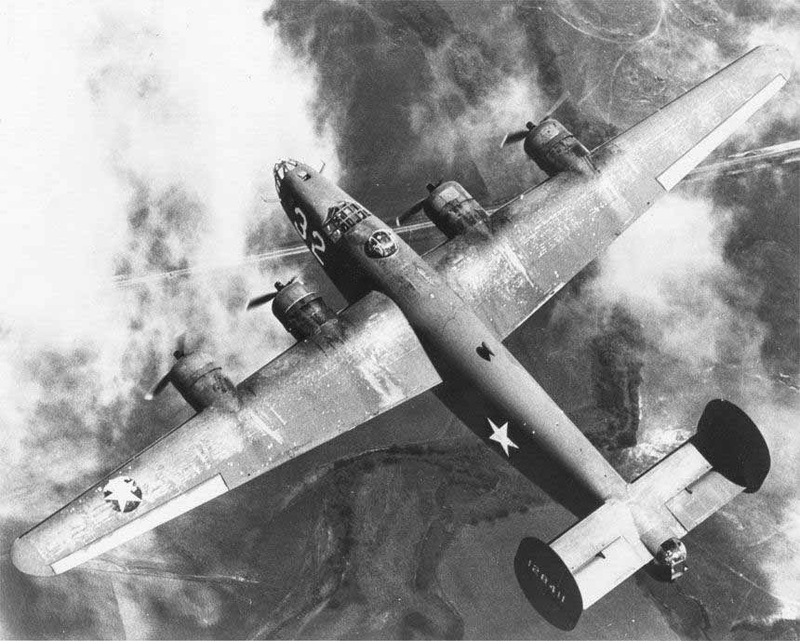 An early model of the B-24 in flight. Whether it was turbulence, bad weather, navigation error or mechanical failure the large 4 engined bomber with serial number 42-7118 was reported missing. 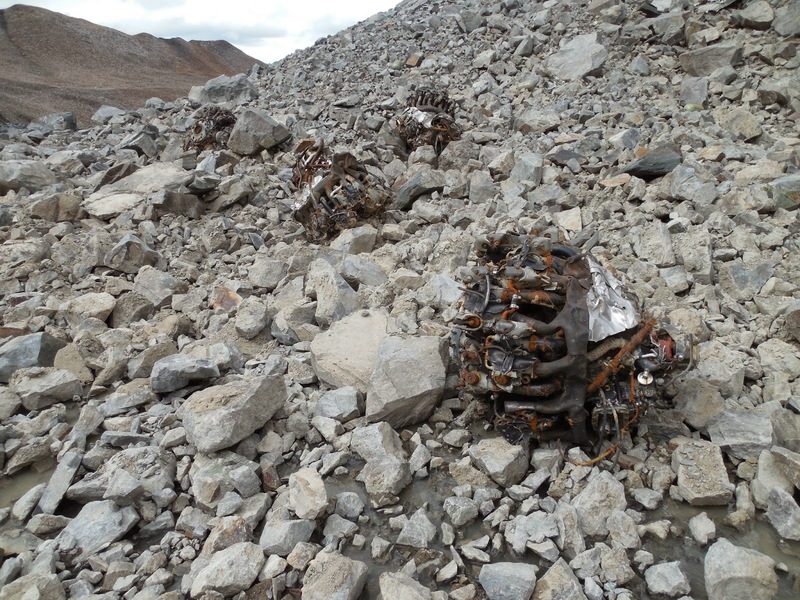 It took a while until a Curry Company employee spotted the wreckage on the side of a 12,968 foot Koip Peak. 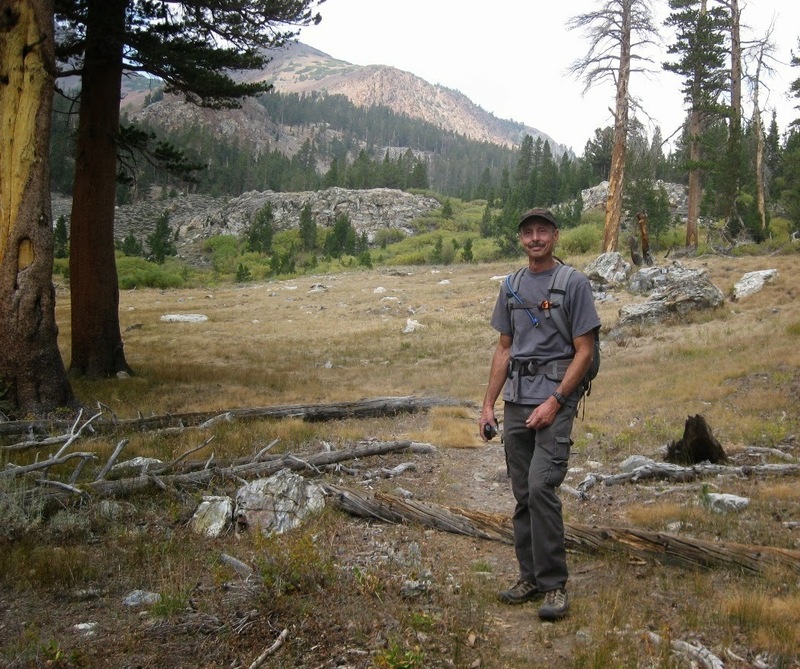 Yosemite Park Rangers Danner and Caster of the Tuolumne Meadow Station organized a party of Forest rangers to bring out the bodies on pack animals, leaving the remains of the ill-fated flight to sink into the glacier. 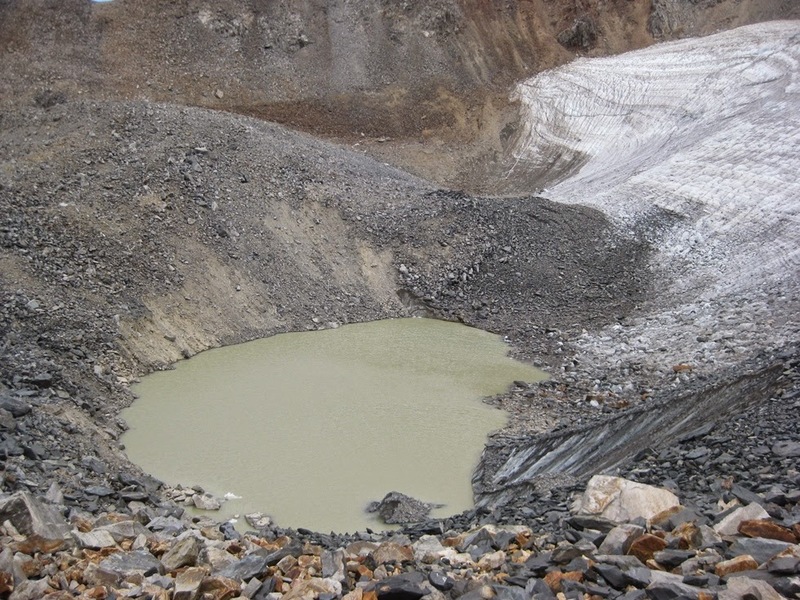 Some wreckage can be spotted by hikers who traverse the trail between Koip and Kuna Peaks but much of it was unreachable, buried in the steep glacier below. 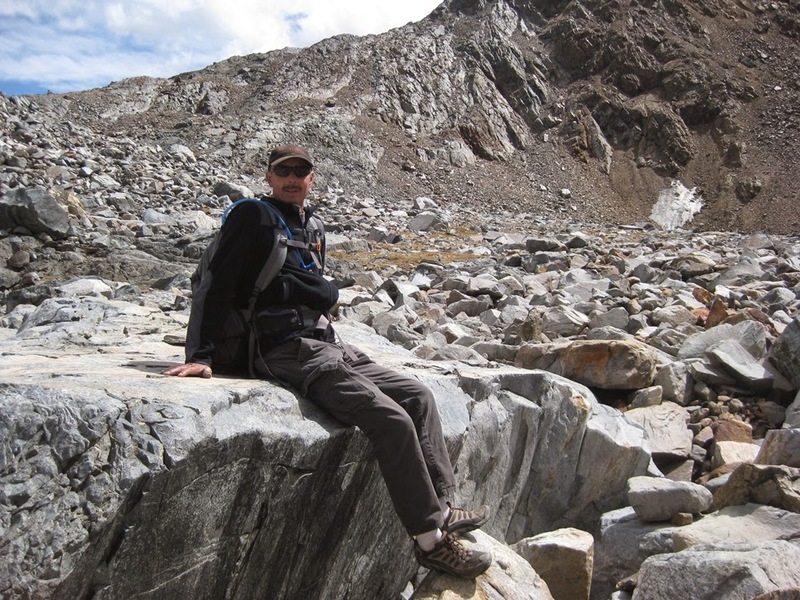 Alan had been convinced that the drought would melt out much of the glacier and reveal tantalizing artifacts. He believed that our best time to head out was in Fall when we might have good temperatures but beat out a chance of snowfall. The planning lasted for months but old maps, history archives and satellite images never substitute for lacing up your boots and braving the elements to reach your goal. 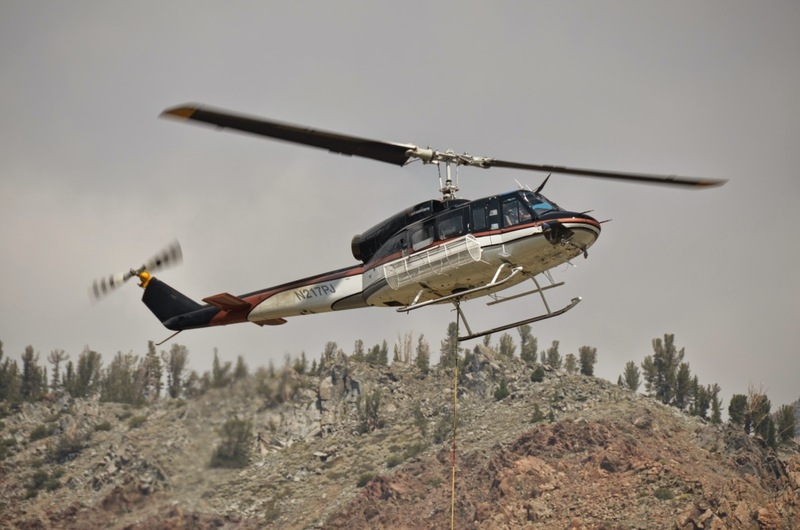 For a while we had worries of the forest fires impacting our plans but instead we were treated to a ringside seat for the air operations as we came to the starting location for Friday's explorations. The helicopter pilot would land at this spot for refueling and also to sling large loads of gear up to the fire fighters. 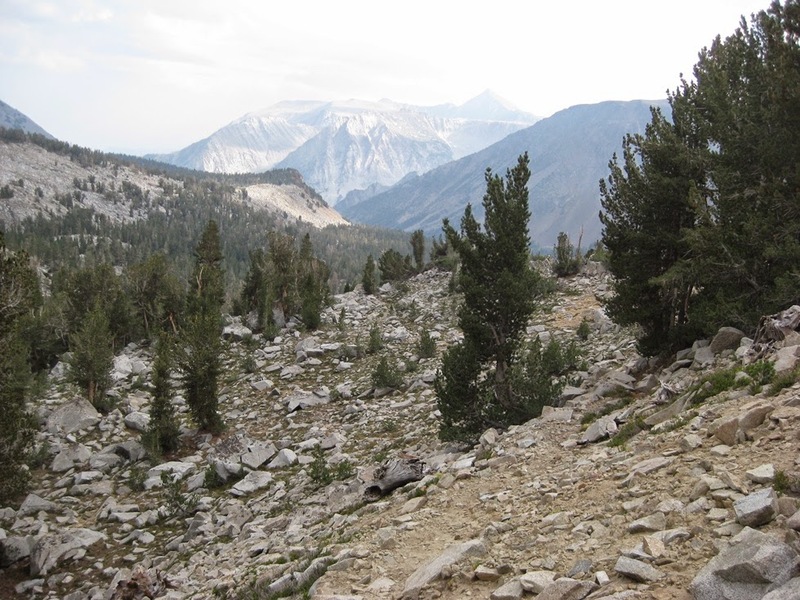 Not far from this spot was our trail head with an old camp area and a fairly well defined path to follow. Alan is always good at taking the lead and usually sets a blistering pace! The air was a bit smoky and temps were great. 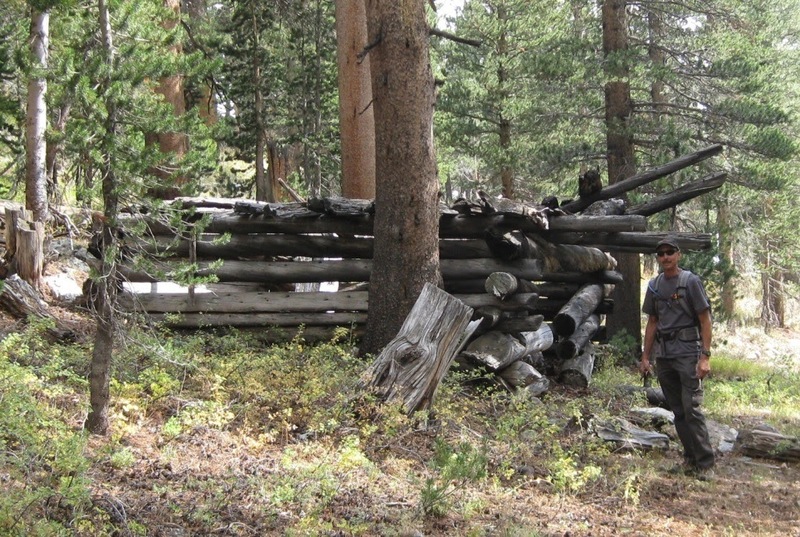 And after a bit of off trail hiking Alan spotted the cabin. 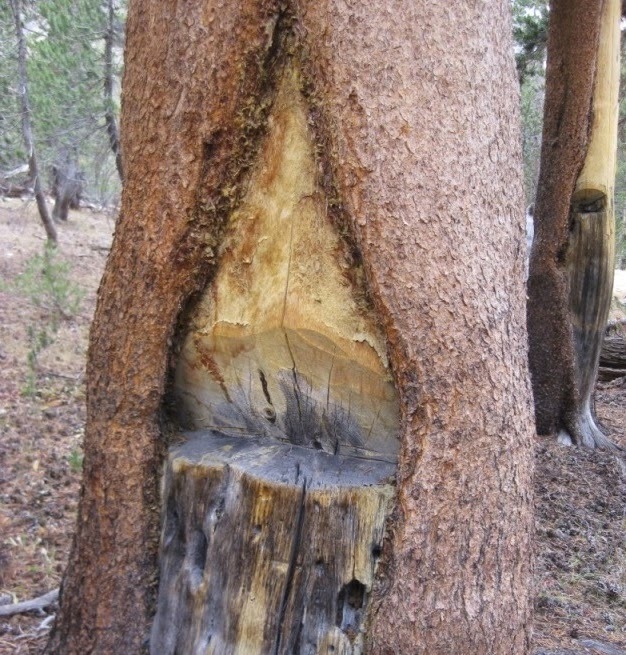 Lots of interesting evidence of hand hewn lumbering techniques with axes instead of chainsaws. We believe that the eroded slope has spilled into the cabin and has partially buried the walls and entrance. Back on the hike we found an interesting marker off the trail from 1924 when our federal government had different names for the departments that administered the lands. Note the "hefty" $250 fine for tampering. 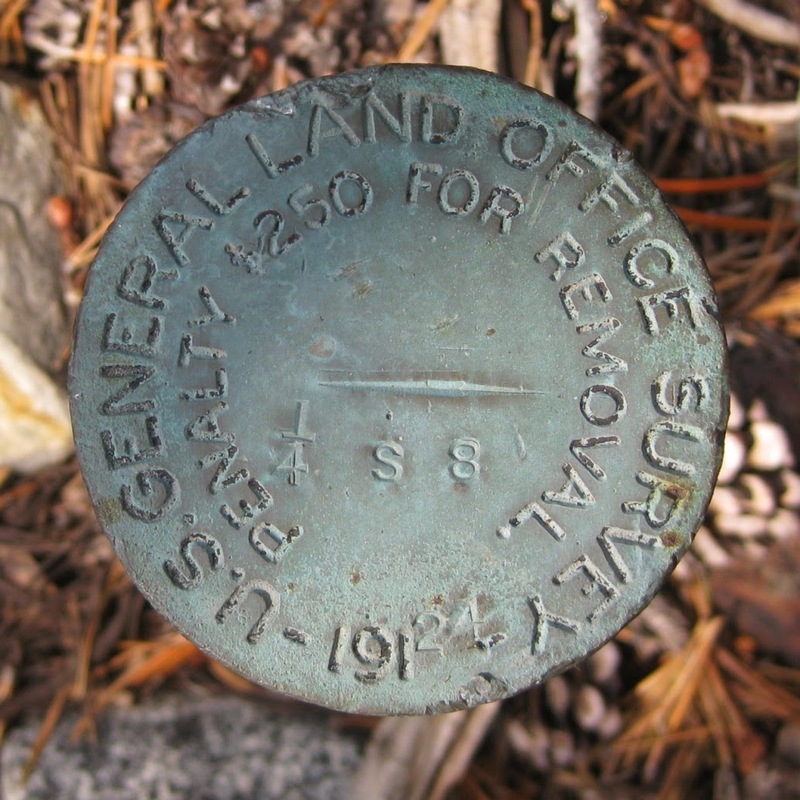 The General Land Office (GLO) was an independent agency of the United States government responsible for public domain lands in the United States. It was created in 1812 to take over functions previously conducted by the United States Department of the Treasury. Starting with the passage of The Land Ordinance of 1785, which created the Public Land Survey System, the Treasury Department had already overseen the survey of the "Northwest Territory" including what is now Ohio. Placed into the Department of the Interior when that department was formed in 1849, it merged with the United States Grazing Service (established in 1934) to become the Bureau of Land Management on July 16, 1946. 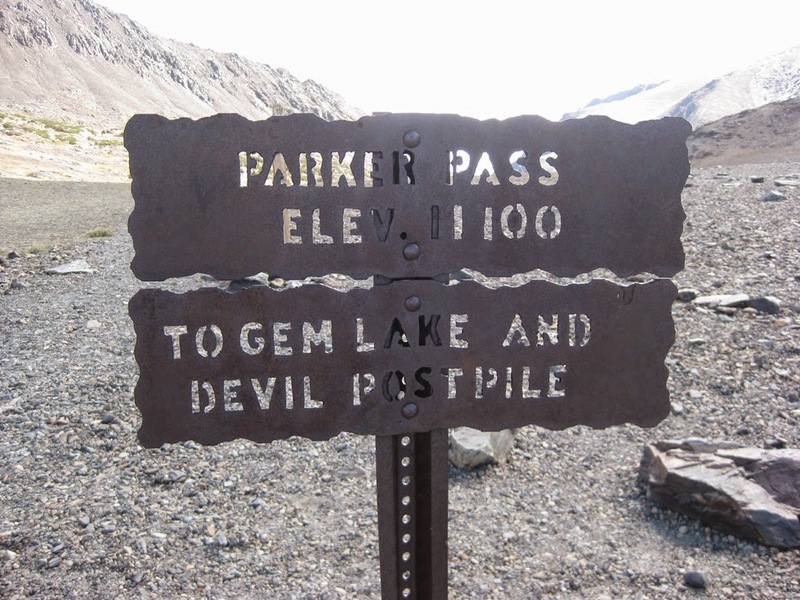 Based on the marker's location with respect to the Mount Diablo meridian and the numbers on the front I was able to match it to a 1925 GLO survey document called a "plat"! The U.S. Surveyor was Dupree R. Averill and the U.S. Transitman was Wesson Cook. Even though the marker says 1924 things moved slower in those days and the document was filed March 9, 1925. Lots of cool annotations such as the scale of "40 Chains to an inch". 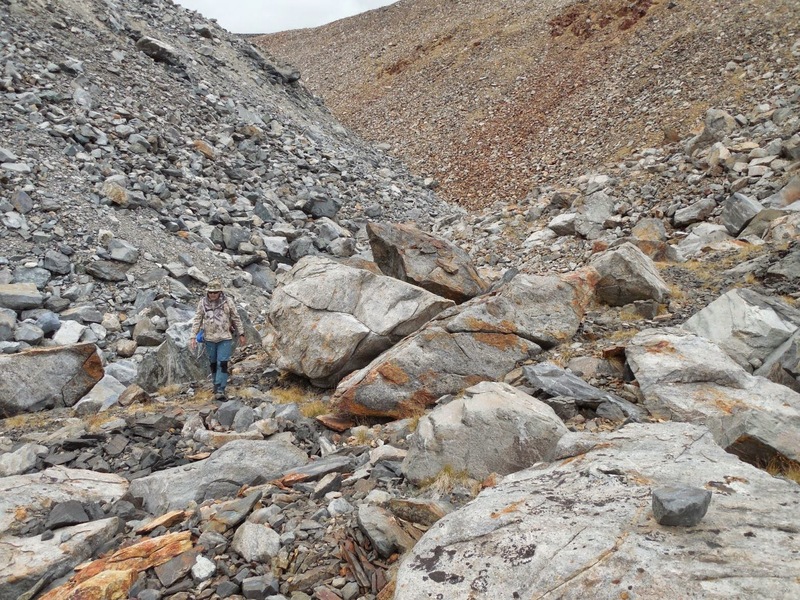 There were eight Quartz mines listed as mineral claims in one mining district. It looks like the signature of the U.S. Surveyor General for California is John Plover. 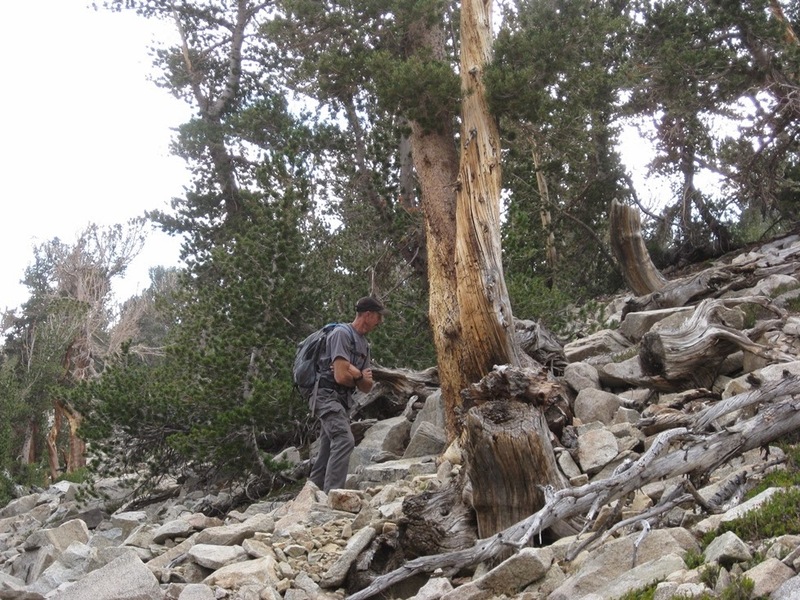 As we explored further off the trail we noted not only more and more tree stumps from woodcutting activity but also that a number of trees had survived prep work. Or it could be that these were witness trees with a blaze mark that might have helped to locate the Land Office marker. 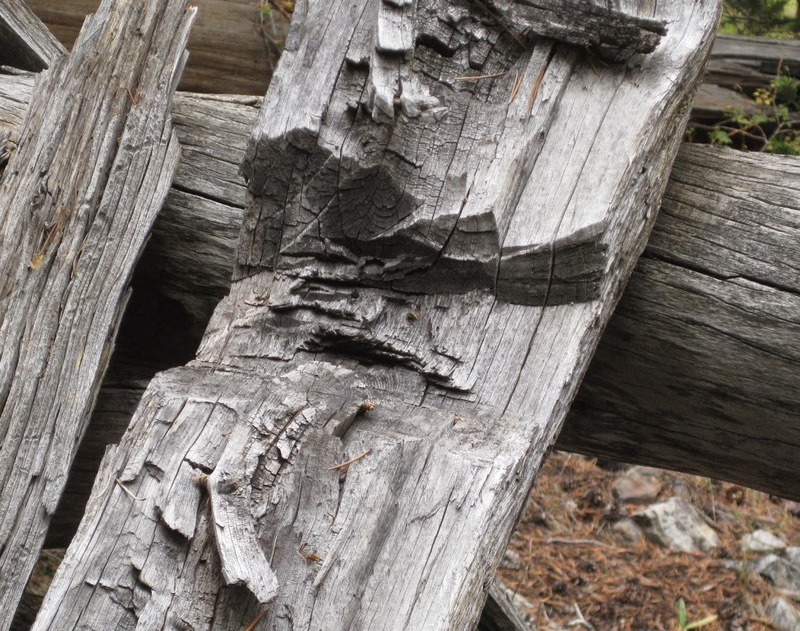 We suspect that the raw lumber was transported downhill and out to sawmills that served the mining towns of places such as Bennetsville and Dana City. Exploring a bit further we ascended a rocky slope that offered hazy views towards the next day's adventure. In hindsight this slope was an easy walk compared to Saturday's trek. 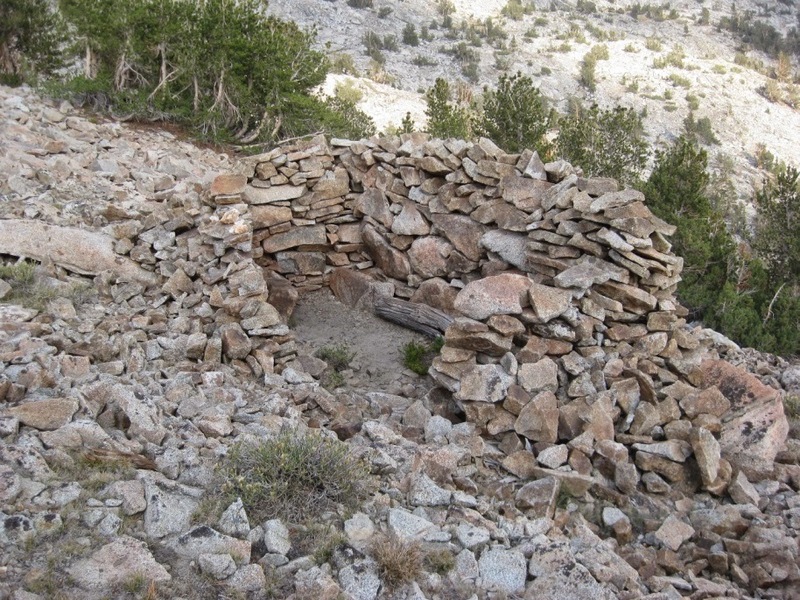 Near the high point of our hike we spotted this structure but have no way of knowing its age as activity in these parts predates the 1860's mining boom. After quickly descending the trail to the highway we had dinner and turned in early for the long day ahead of us. An early start was the order of the day and the first 6 miles would be straightforward at altitudes around 10'000 feet. In the first few miles we met an Australian who had left his engineering job and come up to the States for some explorations. After an initial stretch through the trees we broke out into some lovely vistas with none of the smoky haze from the previous day. Alan trucking along under blue skies and puffy clouds. 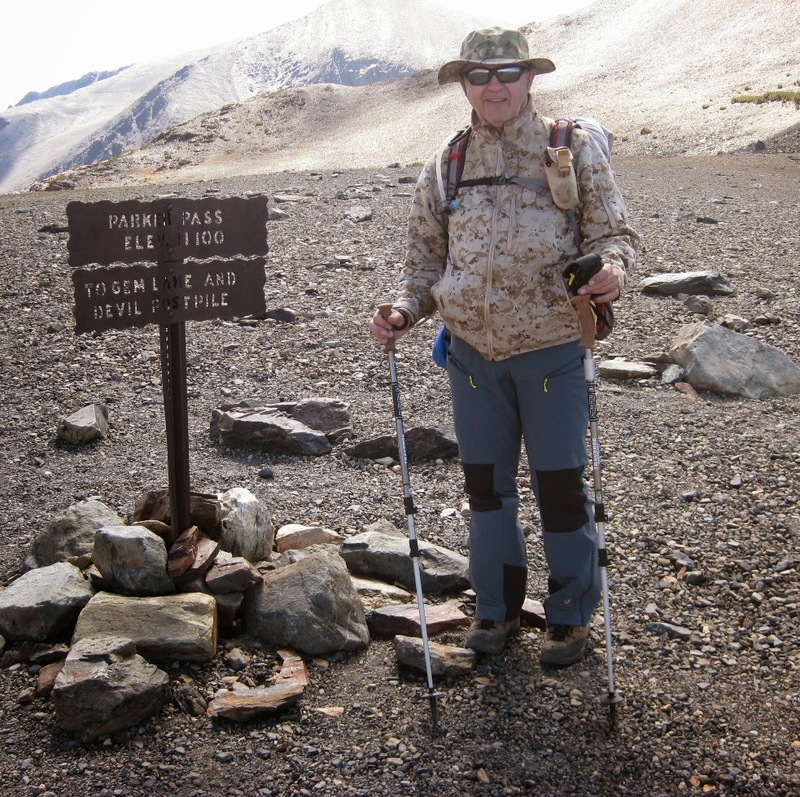 Before too long we left the easy trail for one and a half miles of barren, rocky uphill hell. 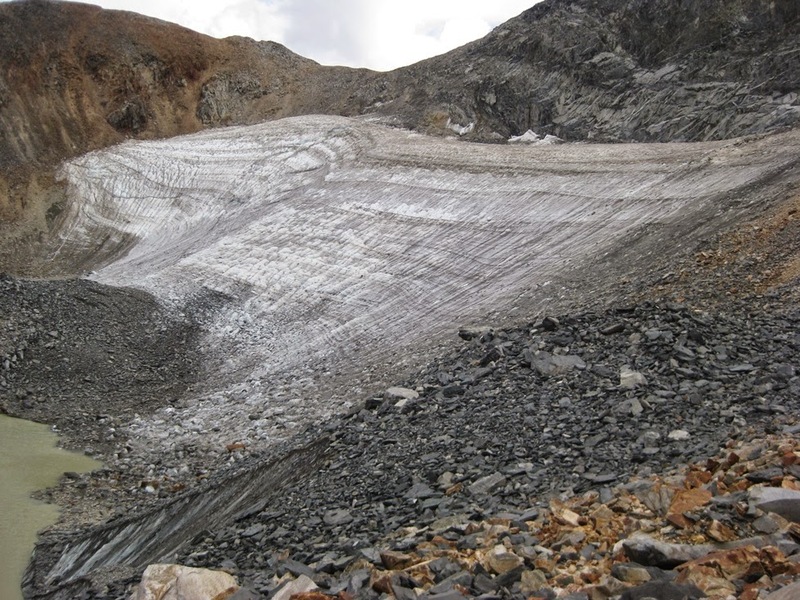 This route offered what looked to be a gradually ascending path to the base of the Koip Glacier where we hoped to spot the remains of the ill-fated B-24E. 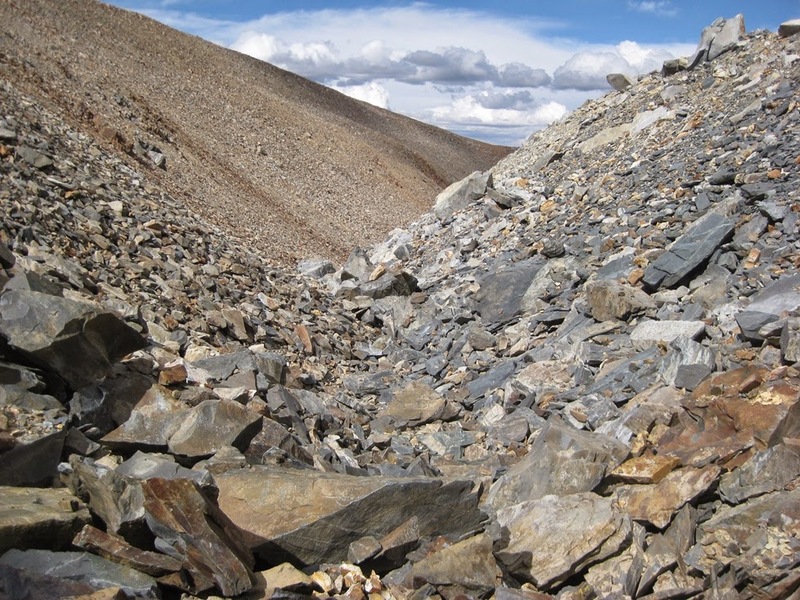 The canyon gradually narrowed and was infused with an array of sharp-edged and loose rocks of all sizes. It was extremely slow going and we noted that behind us there were storm clouds moving into our once blue skies. 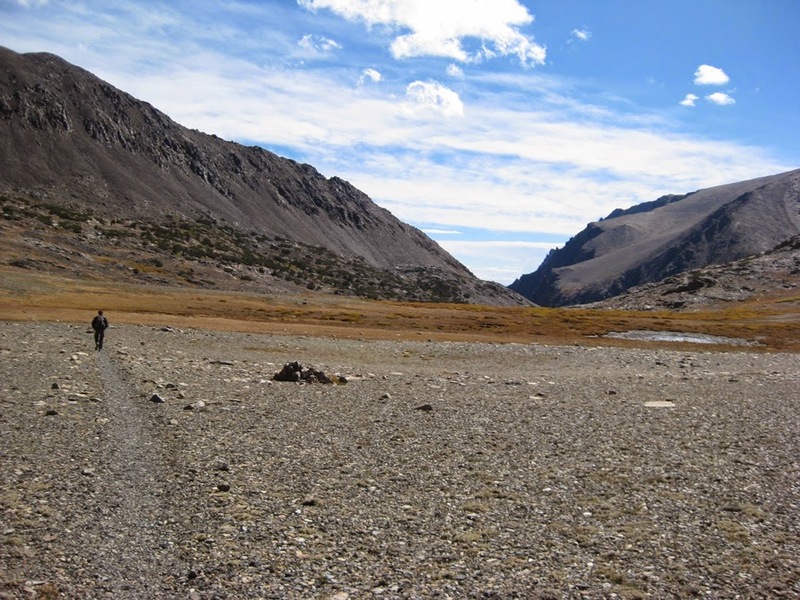 Alan was making better time than I was but at last I could see the glacier and the small lake of melt water. The 56,000 pound B-24E impacted just below the upper saddle where the propellers still rest. Alan and I kept touch via radio and as time was short he made a quick survey of the base of the glacier and saw pretty much all that he had accurately predicted. 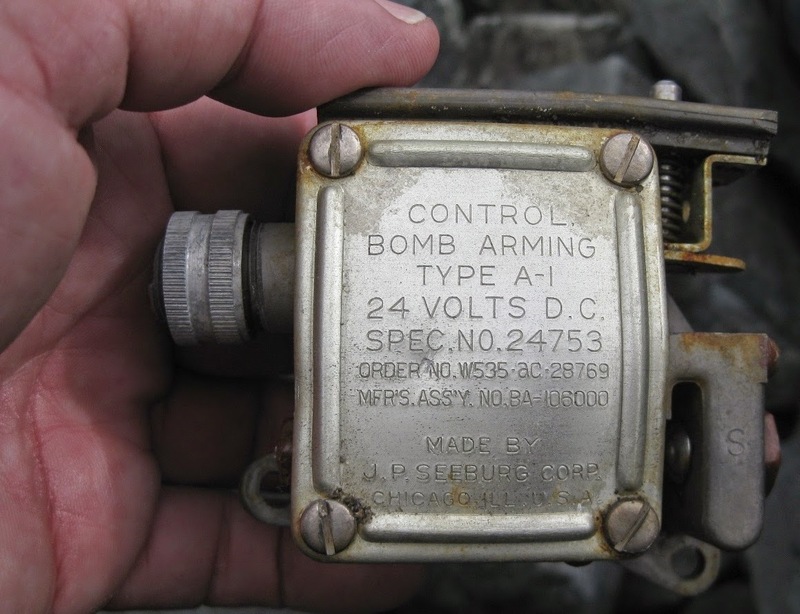 This mechanism had once resided in the plane's bomb bay. 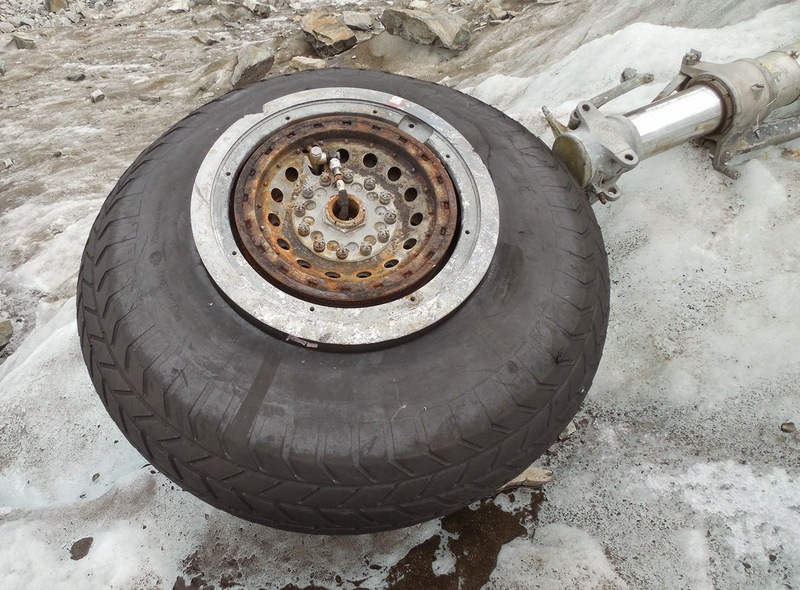 After lots of discussion Alan and I concluded that this was the left main landing gear. 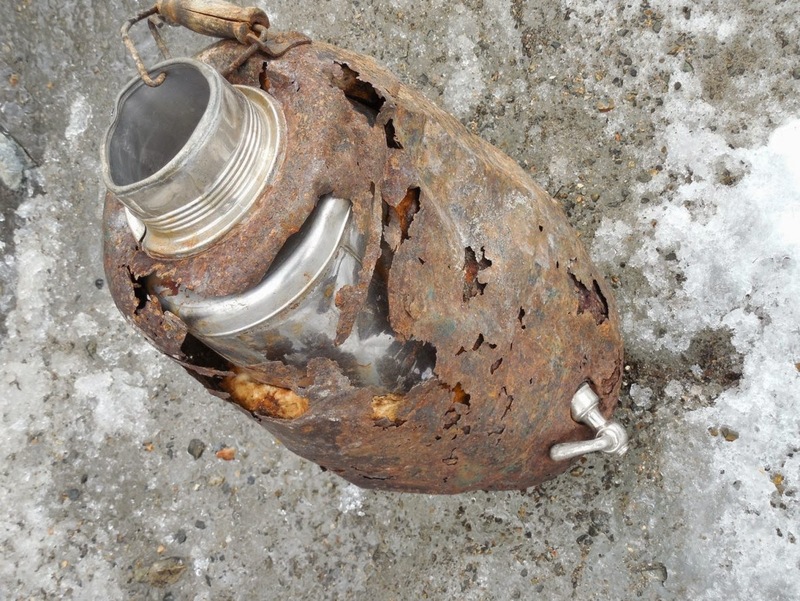 A rusty coffee urn brings home the story that seven men gave their lives in the nationwide effort to win World War 2. 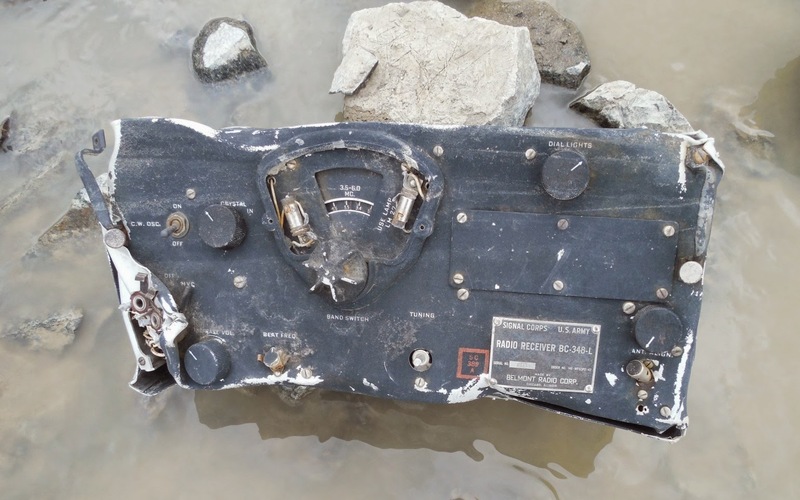 Resting in the melt water was a severely battered BC-348L radio receiver that was from the center of the aircraft and is no longer preserved by the icy embrace of the glacier. 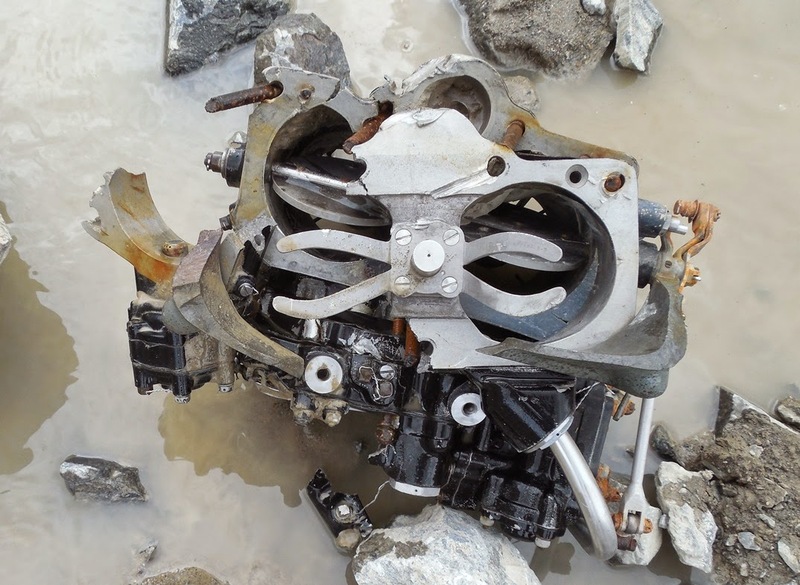 This shattered Holly Model 1375 floatless downdraft carburetor was one of the many that fed fuel and air to the four mighty Pratt & Whitney R-1830 Twin Wasp engines. They were a double row air-cooled radial with 14 cylinders. 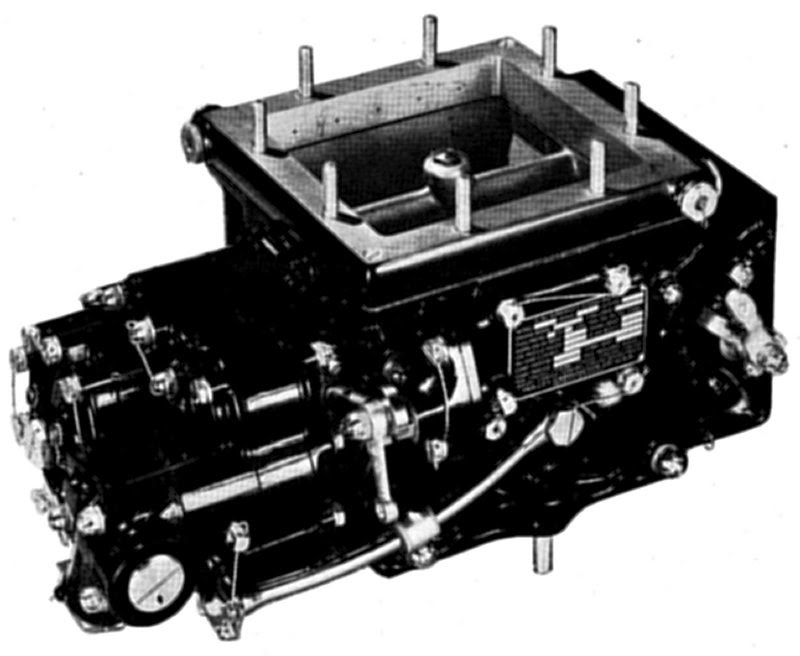 Each of these 1,200 pound engines is four feet in diameter and they were violently wrenched loose from the mounts that once securely anchored them in the B-24's engine nacelles. After a long and tortuous descent down the canyon Alan grabbed a shot of me coming into a less dangerous area. We still had to make our way back to the main trail and then traverse the 6 miles back to the trail head. Along the way we had quite a show of lightning strikes and deafening booms of thunder that stimulated a much quicker hiking pace. The rain started to come down before we hit the tree line but we had the forethought to bring rain gear. 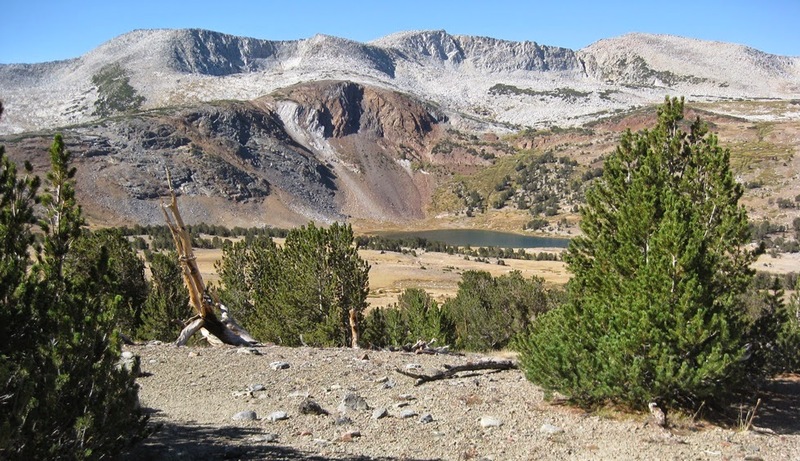 After an easy drive down Tioga Pass to Lee Vining we enjoyed a great dinner in town and then made our way to the Alabama Hills for a good night's sleep. Here is a video of a restored B-24 that is still flying! 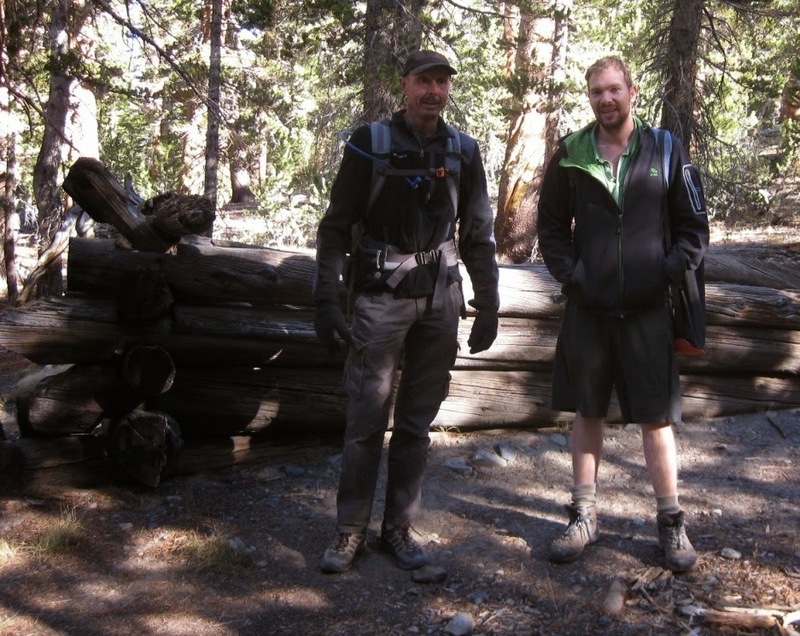 Thanks for hiking along with me on this great time in the Sierras! A most excellent adventure! Thanks for letting us tag along.